It was a two-day festive extravaganza and the Hearing Wales team was in the thick of it, handing out advice on hearing loss and mince pies with equal enthusiasm. 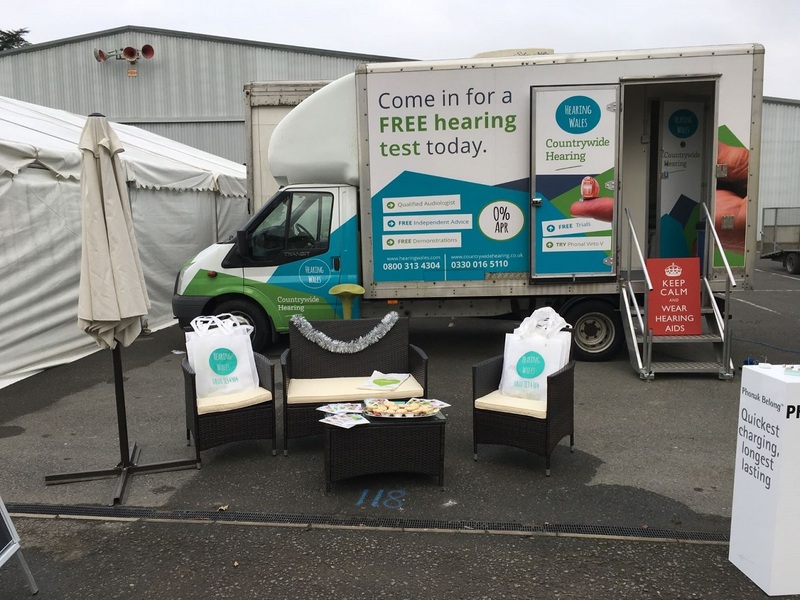 Our fully-equipped mobile hearing clinic was once again on site at the Royal Welsh Showground in Builth Wells, giving visitors stocking up on Christmas gifts and goodies the chance to get their hearing tested or receive advice on hearing loss ahead of the festive season. Audiologist Emma Arthure performed around 40 hearing tests in two days of the Royal Welsh Winter Fair, so people who had concerns about their hearing had the opportunity to find out whether they had hearing loss, and whether hearing aids would help them. “I think the largest group of people we saw were couples – husbands and wives – who were pulling their other halves along and urging them to get tested because they always had the television up too loud or something! For those people who felt they were experiencing some degree of hearing loss, most of them had mild to moderate hearing loss, while a few simply needed to have their ear wax removed by microsuction. As usual, the atmosphere on the Royal Welsh Showground was fantastic, and our team spent a great couple of days meeting friendly people from all over Wales and beyond. 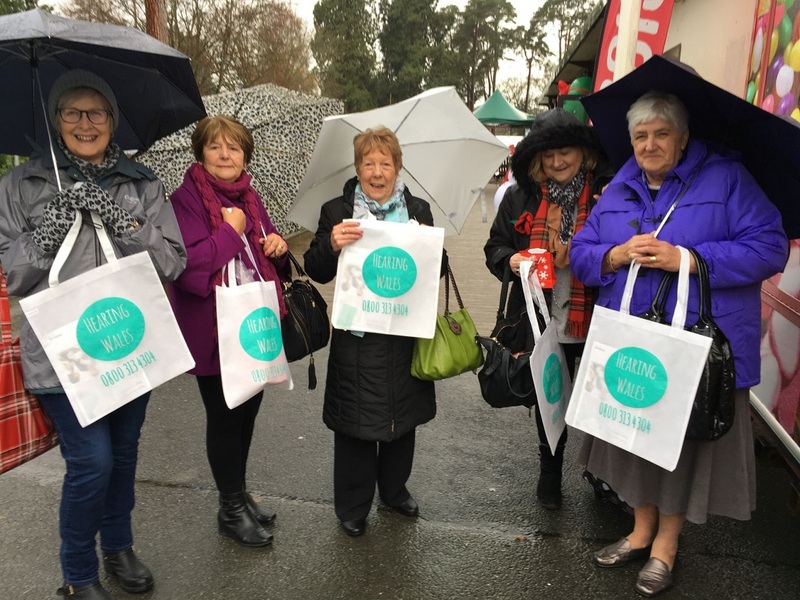 These super ladies from Glynneath were happy to pose for us with our new branded bags! The Christmas Countdown may be well underway, but if you do have concerns about your hearing – especially with all the social demands that are placed on us at this time of year – please get in touch. We can test your hearing for free and provide you with the hearing system that most suits your hearing needs and your budget.